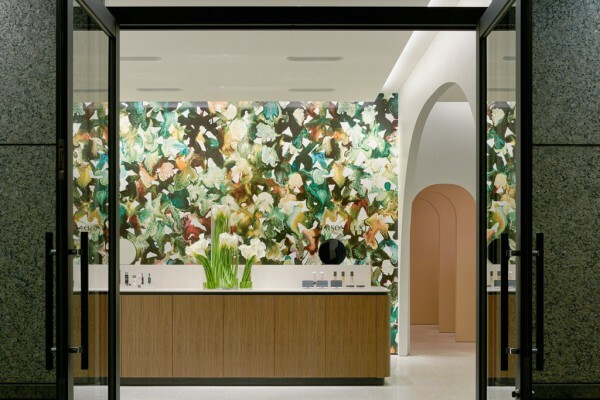 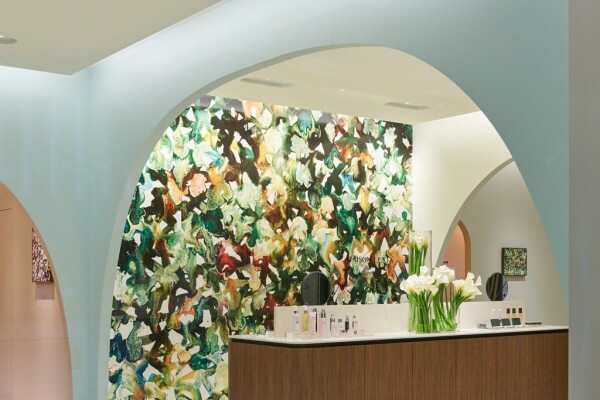 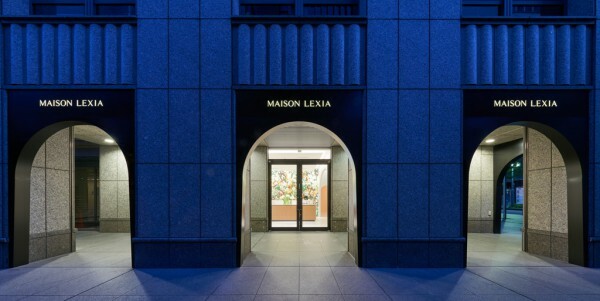 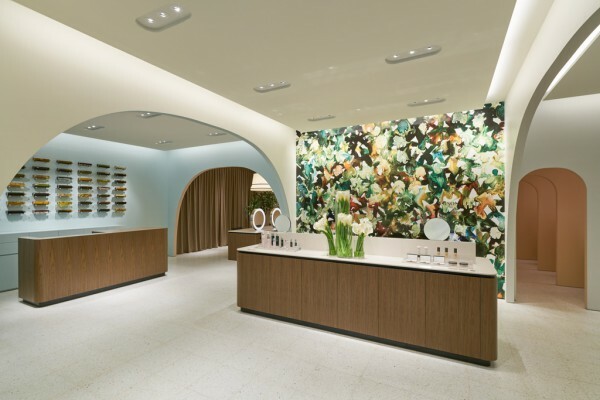 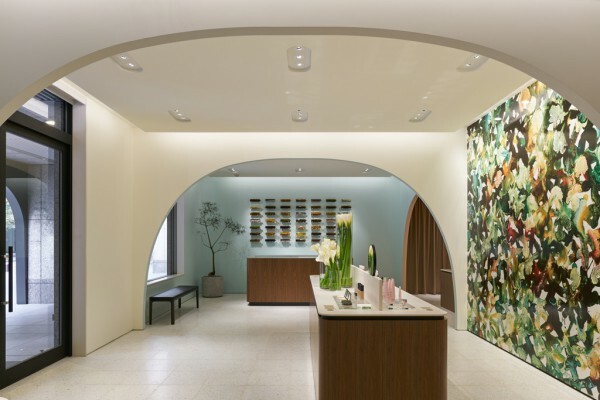 We performed the interior and exterior design for the first street-level shop of Maison Lexia, a Japanese beauty brand known for making everything in-house from raw materials, extracts, and manufacturing to perfumes, that was established by a group of botanical experts called “Composer”. 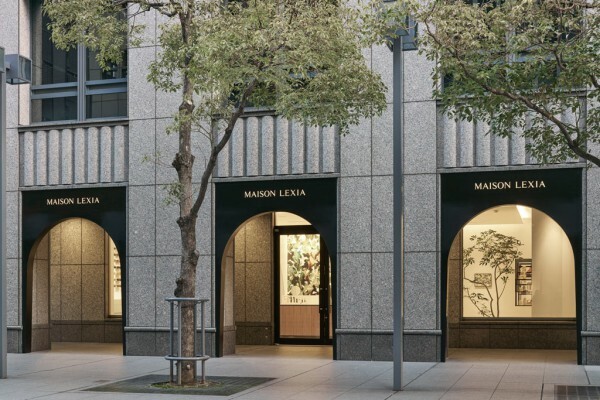 The site is located behind a set of columns on the first-floor part of an office building in Osaka’s Yodoyabashi where imposing high-rise buildings stand in rows. 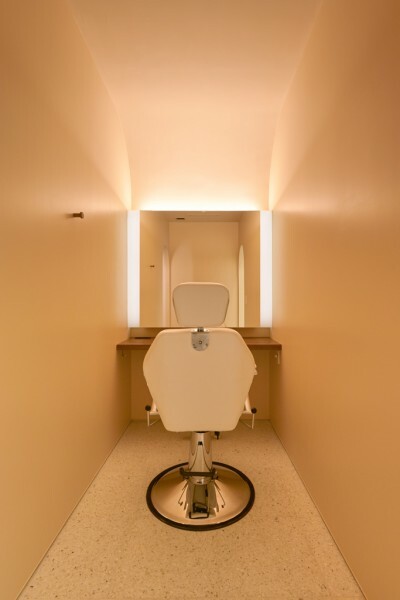 The shop interior contains not only an area for selling products but also a counselling space and a treatment room where clients can receive lengthier treatments. 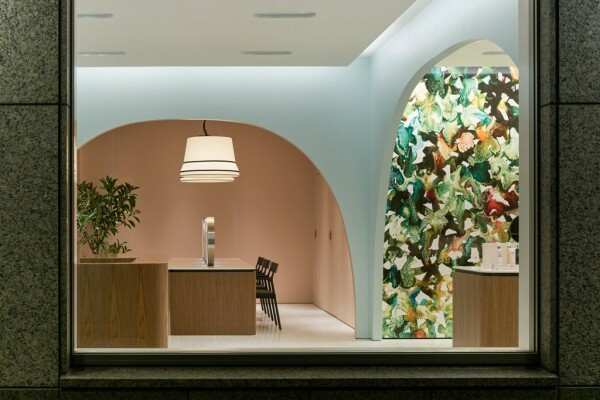 These areas are loosely partitioned by hollowed-out walls in the shape of arches. 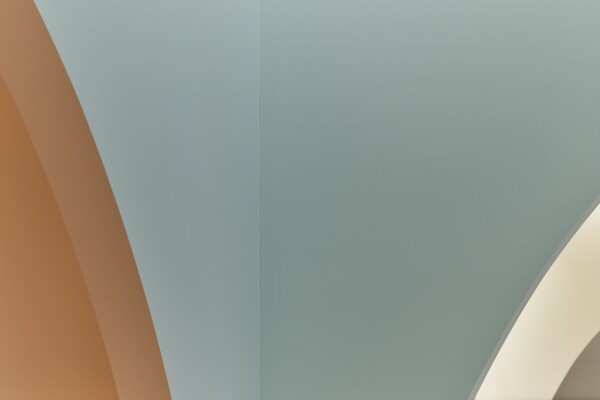 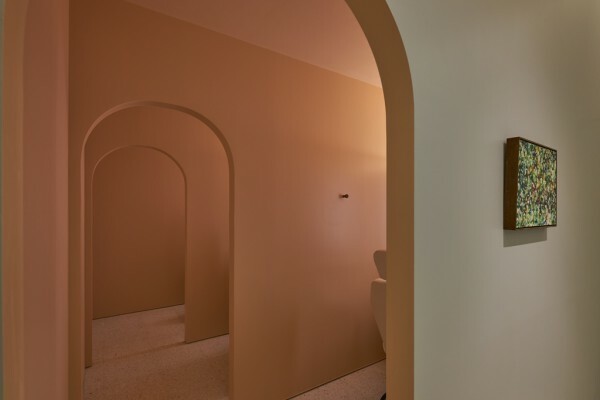 Each room is given a different role and image by changing the wall color. 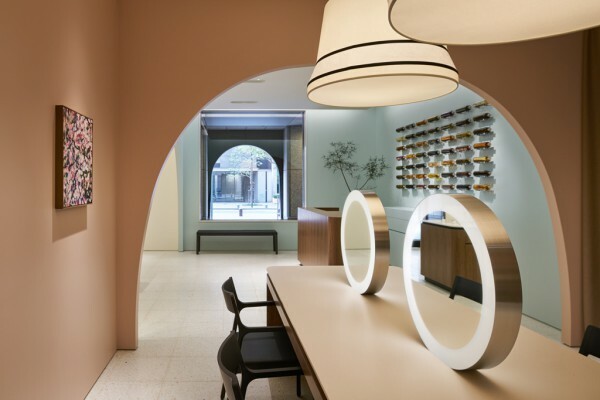 The color of the rooms can be glimpsed past the arches and are designed to lead people deeper within the store. 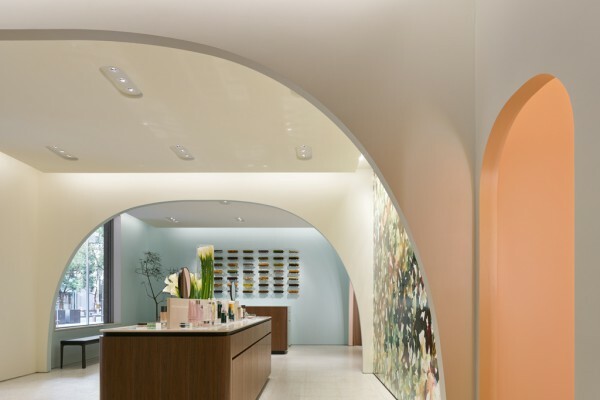 An arch-shaped sign has also been inlaid on the building’s exterior columns to create a continuity between the interior and exterior of the shop. 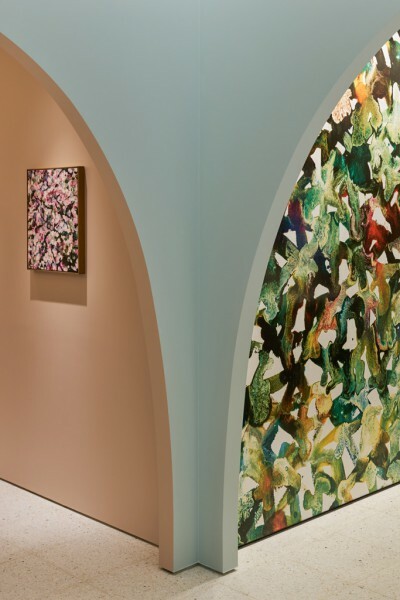 A painting depicting plants by painter Nobuto Fukutsu stretches across the entire front wall of the entrance. 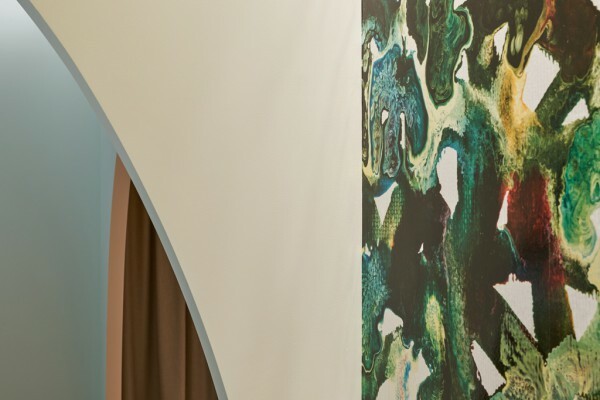 The cutoff of the arches makes it possible to see the painting from various perspectives. 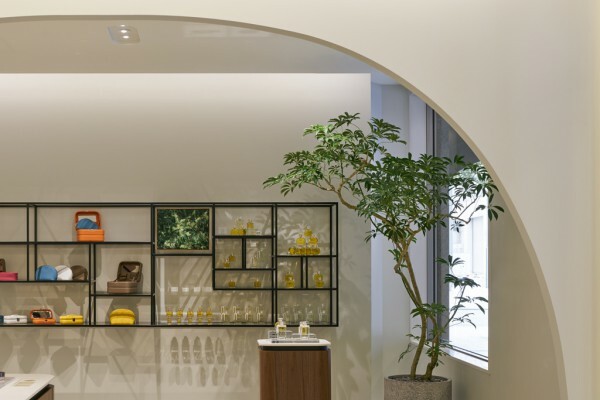 Also, by displaying plant extracts behind the POS counter which serve as raw materials for the perfumes, clients are able to learn about the brand concept. 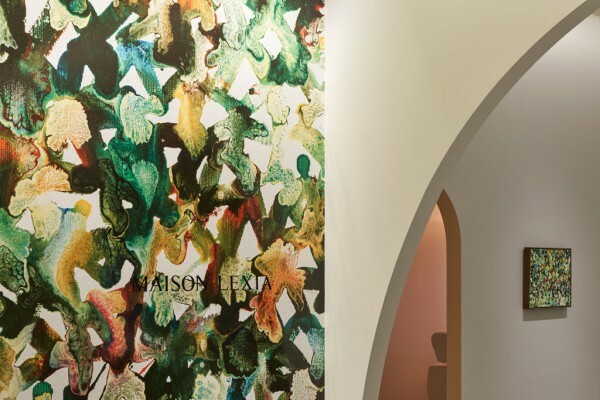 The terrazzo tiles used for the flooring, as well as natural materials such as wood and iron used for furnishings, highlight the premium brand image and, as the first street-level shop, aim to make the store feel like a creation of Maison Lexia.